Austria’s capital city, Vienna is the country’s biggest city and the most popular in the country for tourists. Once the capital of the mighty Hapsburg Empire, it’s an UNESCO World Heritage site full of opulent palaces, ornate churches and comprehensive museums that exist side by side with the more modern city. Vienna isn’t a bargain destination, but there are some ways to cut costs while still enjoying all the riches of this majestic city. Here’s how. 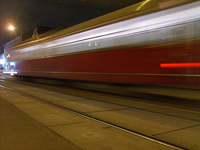 Vienna’s public transit system is efficient and affordable and consists of rail, commuter rail, underground, trams, and buses. Single rides will only set you back about 2 euros, and passes for 1, 2, 3 and 7 days are available. You can enjoy unlimited rides across the network for just 14 euros from Monday to Sunday. The self-guided Mozart walking tour comes from the Vienna Tourism Board free as a downloadable PDF file. Paying homage to Vienna’s strong musical history, there are several other musician’s walks available, tracing the life and times of Beethoven, Haydn, Brahms, Gluck, Salieri, Schubert, Schönberg and more. 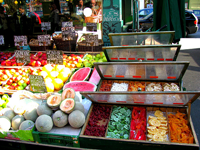 Vienna is home to 26 permanent open-air markets, the most popular of which is Naschmarkt. Stock up on fresh fruits and vegetables, cheeses, pastries and meats, and you’ll eat well on the cheap. Other popular and inexpensive dining options are snack bars where you can find pizza, kebaps, Austrian sausages and hot dogs. Or try a biergarten for heaping platters of Viennese sausages and sauerkraut served with overflowing beer steins. Though the city has no shortage of grand hotels that offer every luxury, it’s not too difficult to find more affordable hotels in Vienna as well. Hostels and small guesthouses offer a surprising value, and if you’re staying longer, an apartment rental can be a great deal. The Apartment Owner Association of Vienna has 250 properties which are independently rated with edelweiss symbols: two for economy, three for standard or four for premium, so it’s easy to know what type of quality to expect. If you plan on going to multiple museums and getting around by public transport, invest in a Vienna Card. Good for 72 hours, the card offers 210 discounts at museums and sights, theatres and concerts, and in shops, cafés, and restaurants, as well as significant discounts on public transportation, all for just 18.50 euros.